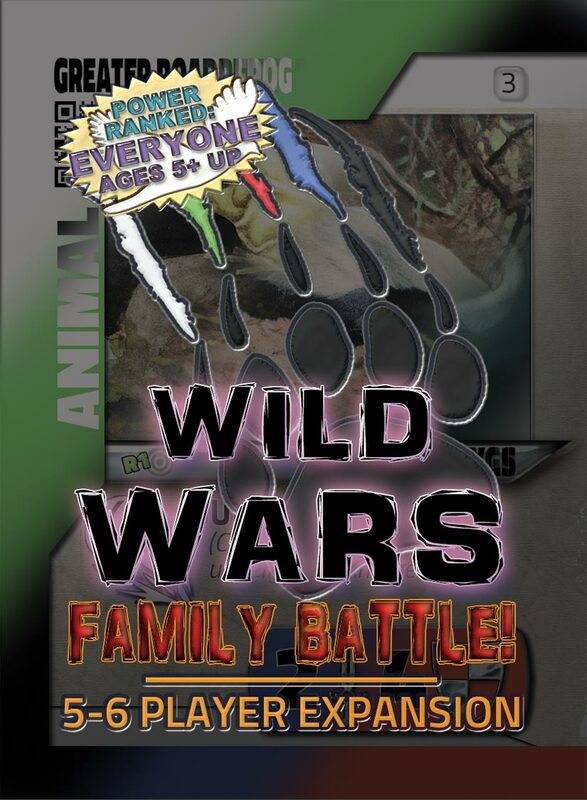 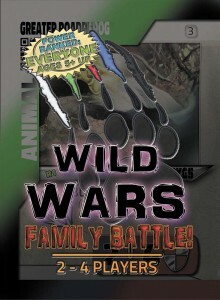 We’re proud to announce our newly released our Wild Wars: Family Battle! 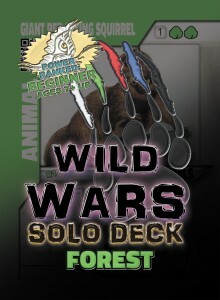 game which allows quick play from a communal deck for up to four players and includes animals from all five kingdoms! And, as you and your players want more challenge and strategy, you can purchase non-randomized expansions to steadily build complexity (as well as number of players) to your gaming experience at the rate you’re ready for! 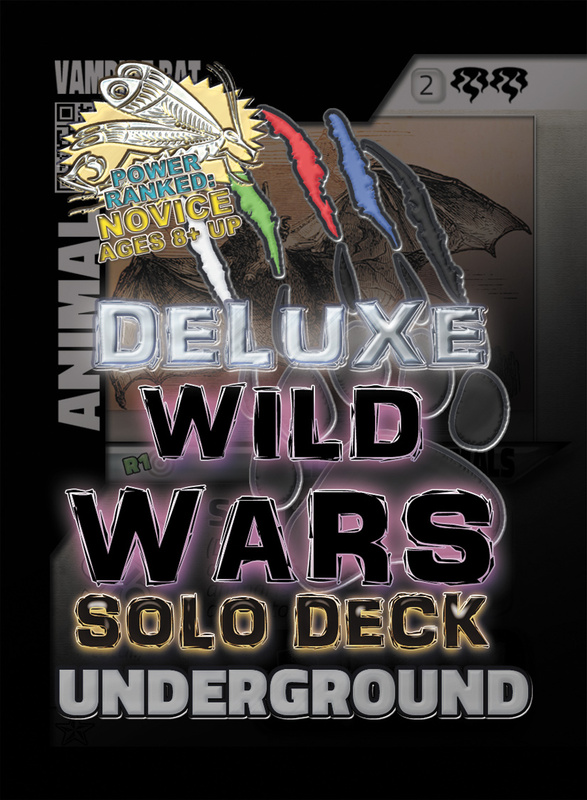 Folks who want to have gameplay that’s more customizable and unique to them, will want to fully explore the Wild Wars: Collectible Card Game, especially since we offer pre-built decks that require no customization to get started! 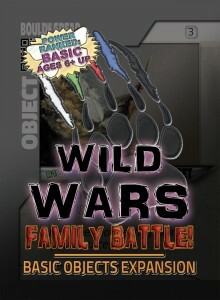 And a lot of folks want to have both in their homes for different gaming times! 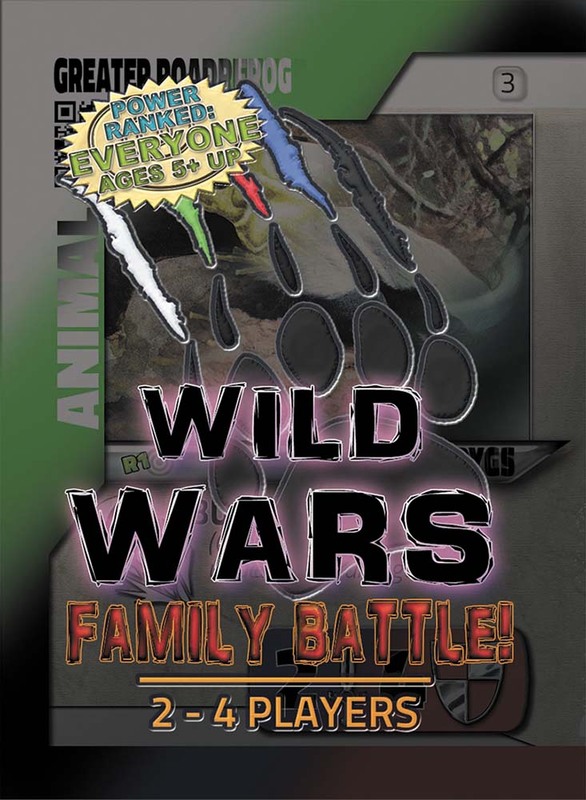 Learn more about the differences between the games at our Wild Wars: Family Battle! 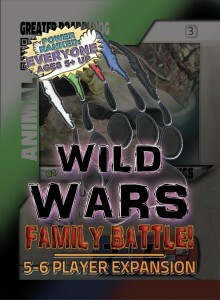 vs. Wild Wars: Collectible Card Game page here. 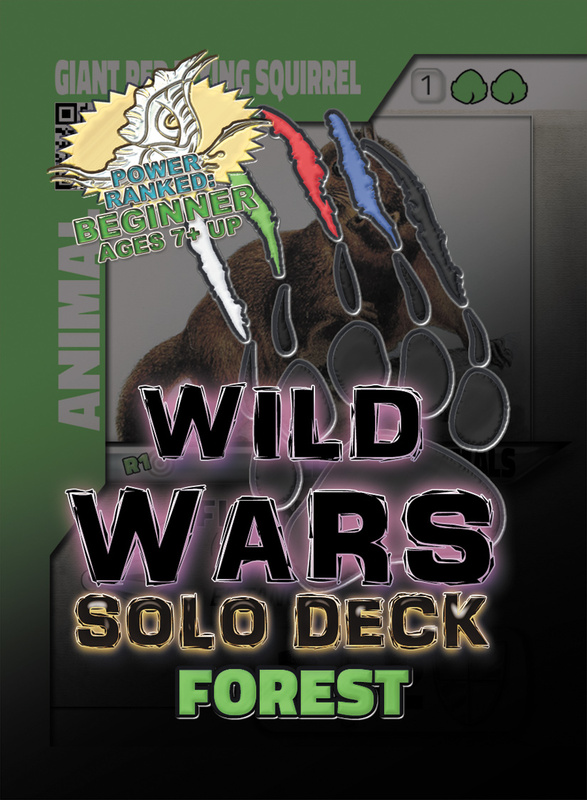 Requirements: You will need a total of two decks to get started. 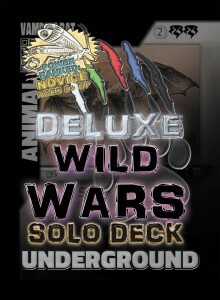 Suggested Use: Augment pre-built decks with booster cards, rather than building an entire deck from scratch.